The Abandoned Crypt set in the depth of the Forest of Cobwebs, the crypt is the passage to a world of darkness. Inside its long corridors, cloaked in shadows, run down to the depth of the earth. Hungry undead creatures wander in the shadows seeking for living flesh to eat. 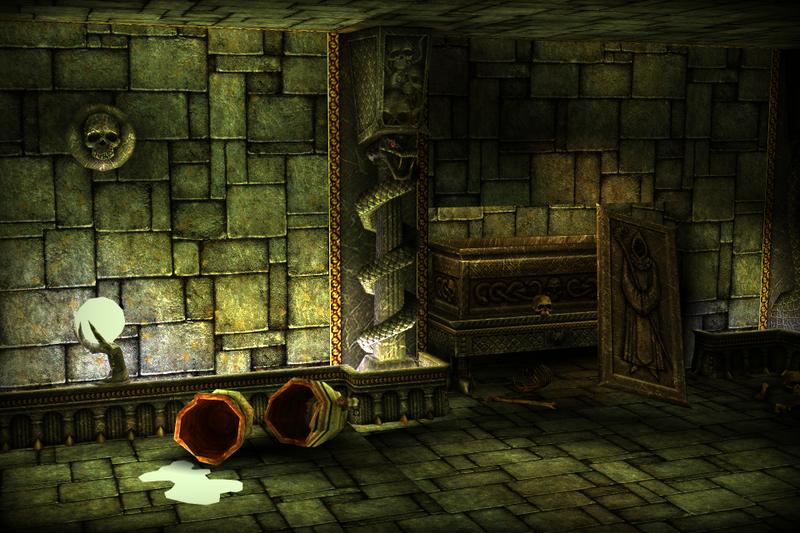 The crypt hides many traps, endless wells, deadly mechanisms built to keep curious adventurers at bay.